1. Please donate to help fund our lawsuit to overturn the Landmark Preservation Commission’s approval of the massive Gansevoort development. 2. Attend the next court hearing on our lawsuit against the Landmark Preservation Commission. It’s currently scheduled for Wednesday, March 8, 2:30 PM at 60 Centre Street, Room 345 (at Foley Square). We need a good turnout at the hearing to show the judge how strongly the community feels about saving Gansevoort Street. Density is the key to quality of life and character of a community. The west village is under assault by real estate development and as a neighborhood we need to preserve, protect our homes and resist the relentless pressure to over-commercialize a treasured and historic part of NYC. I can see that new buildings may be needed on Gansevoort Street. But the ones proposed are too high and not aesthetic and in keeping with the old former buildings at the site. Otherwise it will just look like a block-long shopping mall instead of being in keeping with the former meatpacking district we are all trying to preserve as part of our city’s exciting heritage. Meatpackers never had such tall buildings and it would look ludicrous. 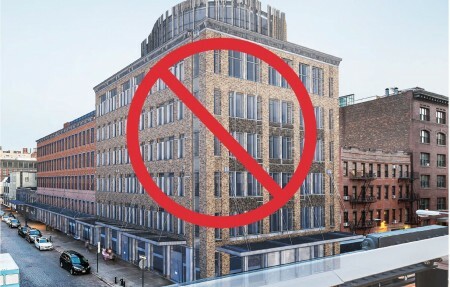 Dear Mayor — you want to save the horses; please save our historic West Village from the way-too-tall buildings proposed for Gansevoort Street. Three or four stories would preserve the historic look we all want. Also, the brightness of the sun shining on the street would be darkened by the tall buildings proposed. The builders are saying they are “only” 5 – 8 stories, but that is enough to kill the character. Keep them lower and people will come. If it looks like any other street with tall buildings, it certainly won’t bring the tourists who want to see “Le Meatpacking.” Lower for light and character. Please.